Introduction: Becky & Lolo is a website created back in 2007 with a mission to sell high quality, unique, fun and practical products; which you wouldn't normally find on the high street. They specialise in sourcing their products from all around the world including innovative items and items that have not yet reached the current market place. We were contacted by the lovely people at Becky & Lolo to choose one item from their fantastic range to review, Lewis was due a new lunch box so we picked the Camo Lunch Box to try out. With traditional lunch boxes you have to place the juice bottle inside the lunch box next to the sandwiches etc.. and if it leaks your child is left with soggy sandwiches - Unfortunately this scenario has happened to us a few times over the years, this is why I love the Camo Lunch Box, with a side drinks attachment you get to place the juice bottle on the outside, avoiding any spillage. Very durable, and made from canvas. 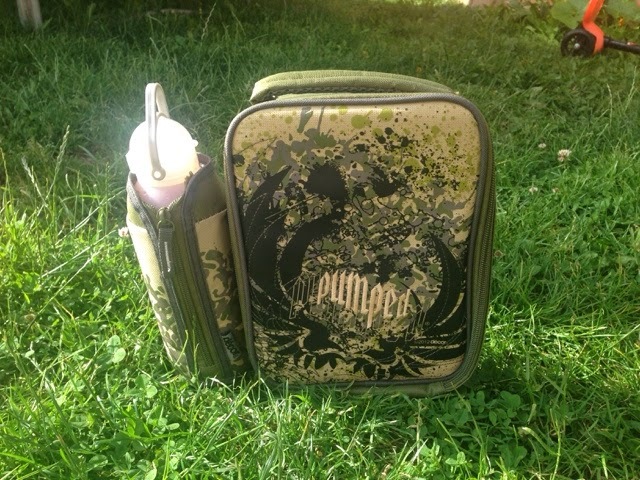 Lewis's comments: I like this lunch box as it came with a large bottle and I get tons of juice to last me all day; it also doesn't leak which is a huge bonus. It has a cool design, and it is unique and none of my friends have a lunch box like mine. My comments: This is a fantastic lunch box; excellent quality, great attention to detail, one that will last a long time, and a great size overall. I love the separate but attached insulated bottle holder and it also comes with a bottle. The design is modern, and fun; which makes it appealing for a wide age range of children - Lewis is 11 and really pleased with it, especially the design, and Jacob who is 4 also wants one. Costing just £12.98 I feel this is excellent value for money and would definitely buy one again.